Household appliances are social bodies and they just love been around people. They also at their happiest when you use them - they are meant to be open and closed all day long. All they ask in return is a little Tender loving care (TLC). A hot soapy rub will do wonders for their outer and in return they will shine for you. What about the inner-side of Domestic Appliance? Most appliances just can't handle the loneliness of been left alone at home for weeks, without someone to use or talk to them. Appliances handle these isolation period difficultly. Some fall to pieces and rust away. Other just cracked and start leaking. Soap and water are the best supplements you can give your Dishwasher and Washing machine but like most supplements if not taken at the right time it can mess things up. After the dishwasher/washing machine has drained its water on the last cycle, it always leaves behind some little soapy-water in the hoses. Once the water has evaporated over a period of time - the soap chemical now acts as glue, gluing together the seals onto pulsator shaft. When you want to use the appliance again after many weeks it only humm's. Humming after - The machine takes in water but once it should go over to was cycle nothing happens. The faint humming noise is telling you that the motor is stuck (glued) and cannot turn. 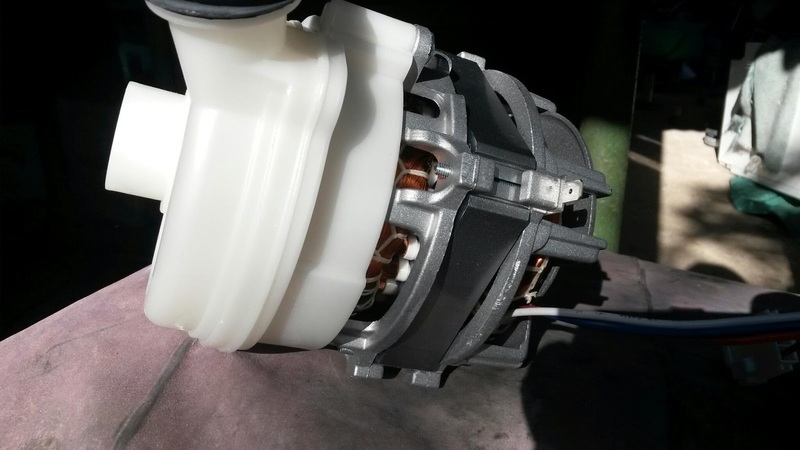 Whatever you do do not switch it on again because you could cause the motor to overheat and burnout. Humming before - taking in water means it is the drain pump that has gone on the blink. In most cleaing appliances the drain pump is the first part that comes in operation once the machine is switch on. In both cases call your local professional appliance repairer too service the appliance before any real damage is done. This now raises another question, "How do one prevent this scenario from occurring"
Unfortunately I do not really have an answer how you can prevent this "glue-ing" from happening but over the years of repairing appliances I have come across many people that does different things to their appliance to prevent storage-damage. It is very important that a tumble dryers filter gets cleaned after every use, Otherwise it becomes one of the most expensive appliance to use in the home. > Hot air gets tramped inside the dryer and every component starts to heat up. From the timer control to the main motor just need a couple degree temperature rise to burnout. > If vents are blocked the hot air cannot move through the turning drum to dry the laundry. Which means the machine must operate for longer periods of time using more electricity. Remember to check both filters, the Intake and outlet filter. Most tumble-dryer-users never check the air-intake-vent. Stoves and Ovens are Household Appliances that get used daily, when the oven goes faulty it creates chaos in most kitchens. In this post I am going to cover 3 of the most common symptoms of a faulty Bake Element. The oven heats up to the desired temperature (only once) and then the temperature start dropping and in most cases it never comes on again. This phenomenon happens because the thermostat switches the top element on during the preheat phase but switches the top element off once it has reached the desire temperature. The top element will never switch on again during the bake setting - causing the oven to go colder and colder. Because the bake element doesn't come on and only the top element is heating - it then takes so much longer to preheat the oven cabinet. 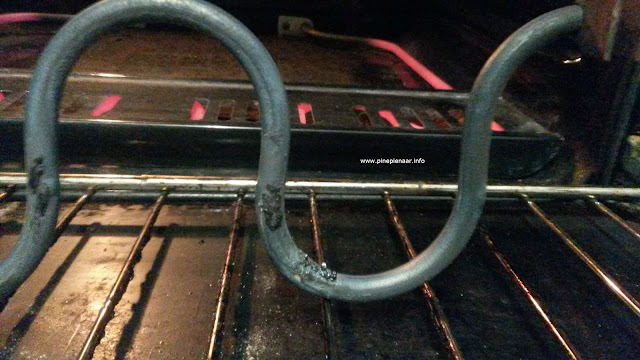 Bake element is faulty and the oven isn't equipped with two top elements. (One for Grilling and one for pre-heating). In the case of no heat the top element is only a grill element. The thermostat only turns the bake element on during bake setting and not top elements. As always I hope this post has added some value to your day and should you need information feel free to contact me. 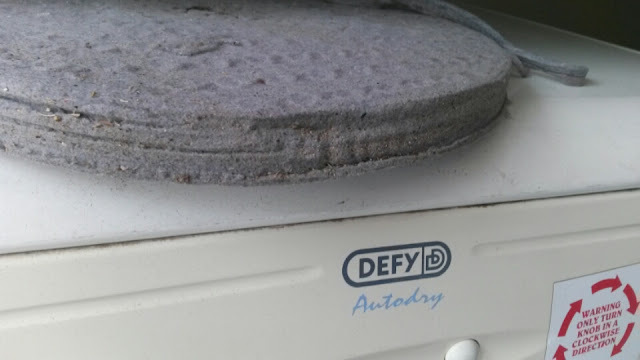 Defy has removed all trade-discounts from their parts without any prior warning or intention acknowledgements. They just said all discounts has been removed tor the small operators but if your are Big they will give you discount. In the current economical crisis South Africa is experiencing, it thats a lot of something to burn bridges or in their case the lack of leadership-brains.